Using biometric readers saves time and money used to replace lost cards and reduces the potential for ‘buddy-punching’. The finger reader option on our Intelligent Terminal 900 and 2100 positively identifies each employee using a unique digital finger template for each employee. 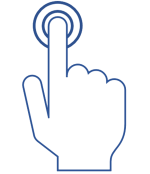 When punching in or out, the terminal compares the reading from the employee’s finger with the digital template that is stored in Attendance On Demand for that employee to verify a match. 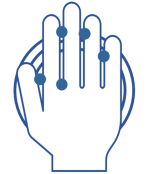 Hand Geometry biometric technology; the HandPunch uses the size and shape of each employee’s hand to verify their identity each time they punch.